A plastic stylus pen that combines both touch screen and writing pen in one making it a versatile dual-purpose tool for everyday use. Our plastic stylus pen is just what you need for a stylish option to use with your phone. The soft beaded point makes it simple to use. 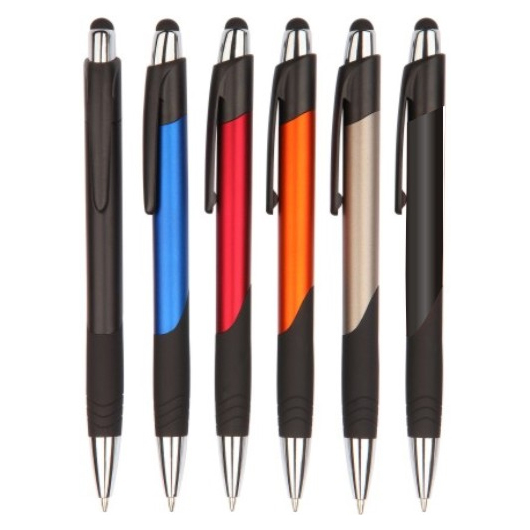 The colourful stylus features a compact, lightweight, dual-purpose design allows you to travel with ease. It is made from durable materials and it comes with five different colours, so you can pick and choose which one you want to use. It features a matt metallic coloured barrel, solid black clip, rubber finished grip, silicon touch tip at the top, and polished chrome plated trims. 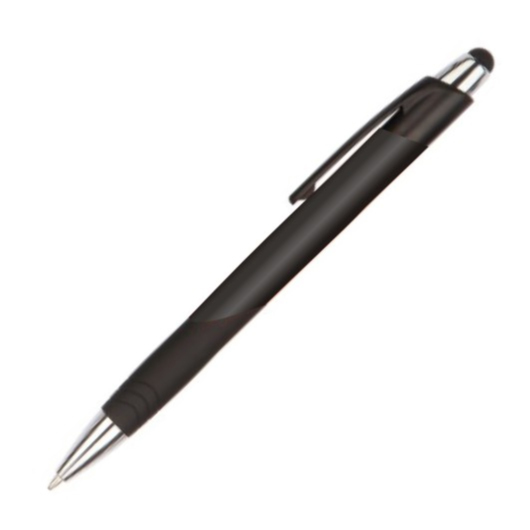 It also comes with a 1.0mm slim refill, German Dokumental black 0232 ink, T.C. NIB., with an extended writing length of 1,000 - 1,200 meters. 1.0mm slim refill, German Dokumental black 0232 ink, T.C.NIB.